Professor of Leadership and Innovation at the Institute of Education, University College, London and former Director of the London Centre for Leadership of Learning. -Learning Logs: What works and why? 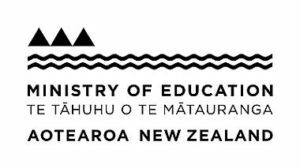 “Ka Hikitia – Accelerating Success is ‘our strategy to rapidly change how the education system performs so that all Māori students gain the skills, qualifications and knowledge they need to enjoy and achieve education success as Māori’ ” (Ministry of Education, 2015). Mark has developed a series of resources, in consultation with numerous schools in New Zealand, Australia and Dubai, that are underpinned by the neuroscience, sociology and psychology of how the brain learns The resulting three resources collectively contribute to the Global Curriculum Project. In this workshop /demonstration Mark reviews the first two of these and previews the third. 2. The Global Competencies: The competencies are shifting from obscurity to the centre of the curriculum as they are now the essential capability builders across all aspects of our lives in this century. Schools are now seeing these are central to curriculum and this resource unpacks the six competencies in a manner that allows educators to apply them in the way they deem to be most appropriate. 3. The Seven Learning Domains: The traditional ‘subject areas’ are no longer context based (thematic topics) but rather they are conceptually based to build the necessary conceptual frameworks that underpin our capacity to be innovative and ingenious – the call of the 21st century. 9.00am Presentation: Micro-credentials: an old dog with some new tricks! Growing NZ’s future inventors by creating the Tech Future now In the near future, everyone will either be a consumer of tech or a creator of it. Children’s charity OMGTech! is about giving kids the opportunity to be the creators. OMGTech! develops and delivers engaging workshops for both teachers and students on digital technologies and how to explore and invent with them. Vaughan Rowsell Founder of point of innovative sale company Vend and children’s charity OMGTech! Some young student participants in OMGTech! School-based workshops help Vaughan Rowsell facilitate an eye opening workshop for ELF18 registrants. Vaughan Rowsell Founder of point of innovative sale company Vend and children’s charity OMGTech! –Bringing about system change and enhanced care and learning through collaboration between educators, social workers and other agencies involved with children and young people.